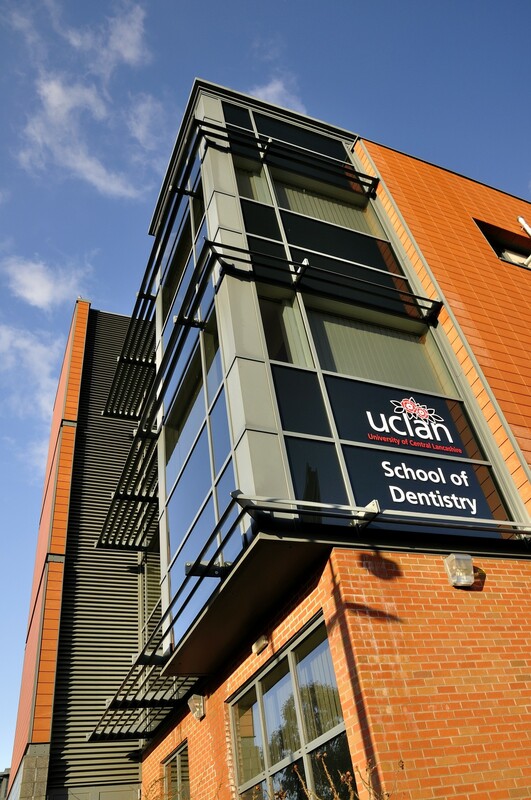 Cassidy + Ashton were appointed by the University of Central Lancashire to design the new Faculty of Dentistry Building in 2006. 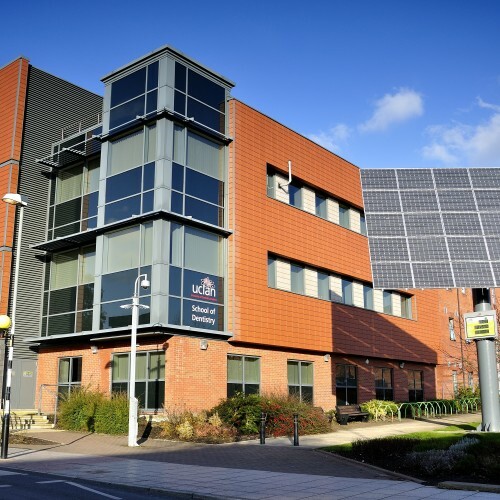 Following a successful Full Planning Application we were novated to work as a consultant to the main contractor for the Construction phase of the project. 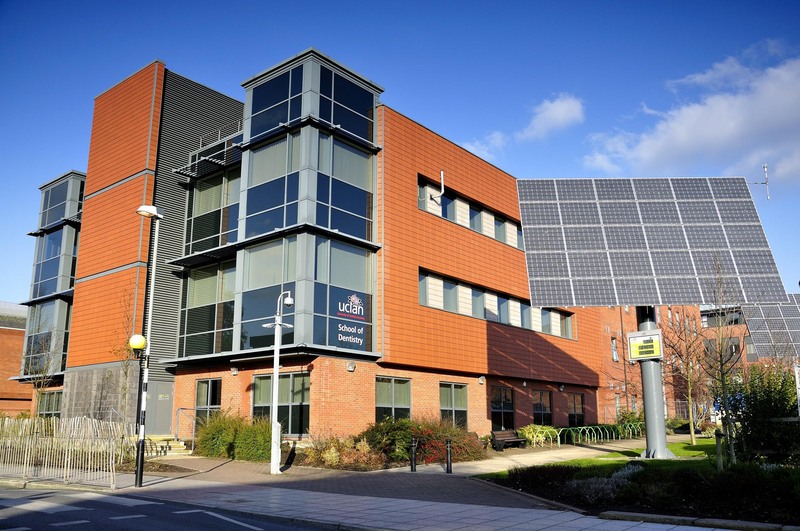 The Faculty was completed on time, for the summer term of 2007, with a construction cost of £5m. 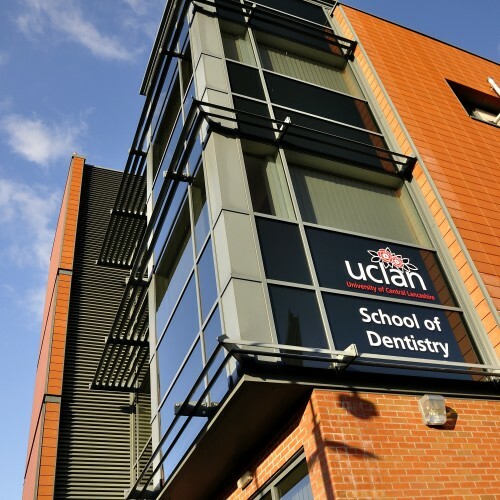 The project involved the establishment of a state of the art Faculty of Dentistry. 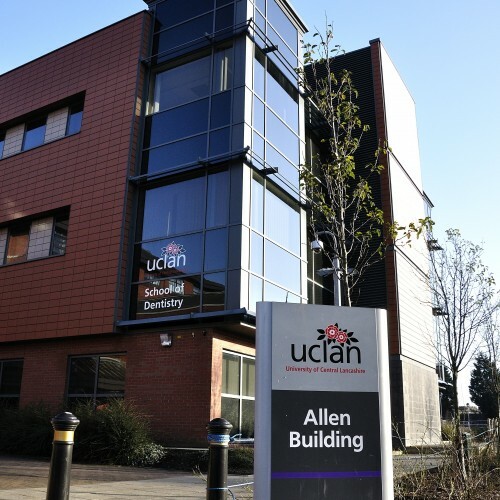 The new 3 storey building is situated outside the Harrington building off Adelphi Street. 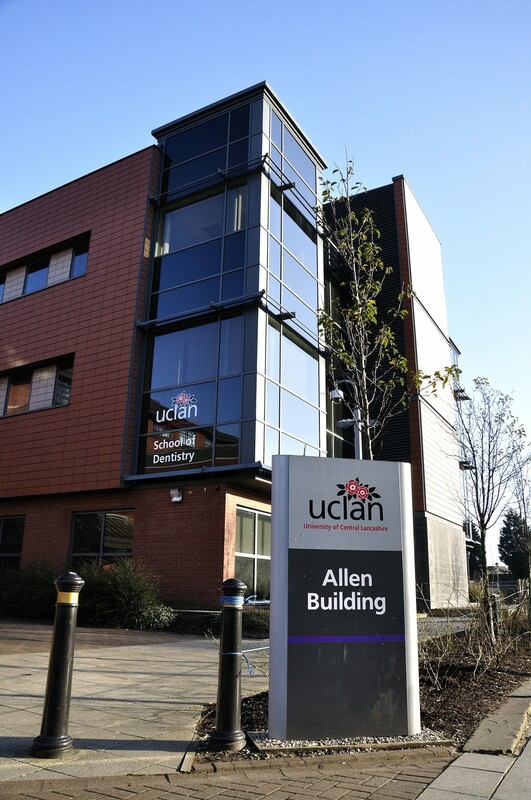 The position of the building was designed to allow for sufficient space to be retained for external landscaping, including a public art project within the three sided external courtyard formed between the Harrington building and the new development. The Faculty building adjoined the south easterly corner of the existing Harrington Building with a glazed link building. This provides space for vertical circulation and a clear separation between both the new and old buildings. A clearly identifiable separate Main Entrance.